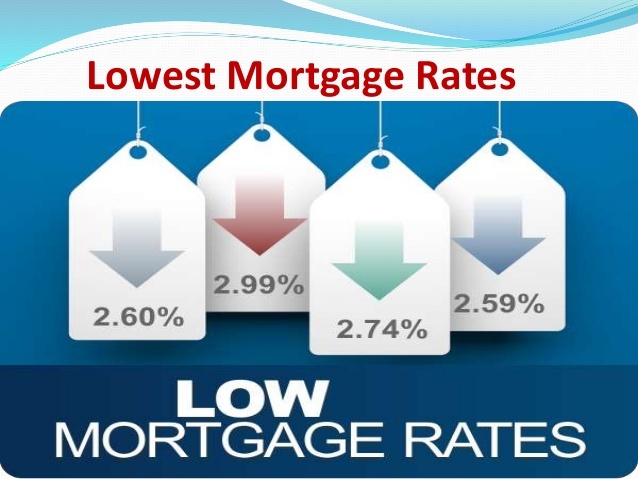 Everyone loves a bargain and getting a lower mortgage interest rate can save you a substantial amount of money over the life of your loan. There are several ways to go about ensuring that you pay the least amount of interest when you take out a home mortgage. Good credit is the key to not only getting a mortgage, but to getting the best interest rates available. Mortgage lenders like to reward borrowers that pay off their bills in a timely manner. Chances are if you have been faithful with your other payments, you will be faithful to pay them back, so they can afford to take a risk on you and offer a lower interest rate. Close any existing credit card accounts that you no longer use. If you have several credit card accounts, they can affect the interest rate on your mortgage, even if they have a zero balance. Lenders see open accounts as potential for debt, which adds a risk of them not getting their money back. To balance this risk, they will often charge you a slightly higher interest rate. Lock in interest rates before you close. Once you have agreed on a low interest rate, ask the lender to lock in that rate. Rates can fluctuate drastically in the time it takes for you to get your mortgage and that could mean paying a totally different interest rate than what was originally quoted. Make the biggest down payment you can afford. Putting a down payment from your savings on your house, lowers the amount you plan to finance, lowering the interest you will pay over the life of your loan. You don’t have to work with the first lender that you approach. With the vast amount of online mortgage brokers, it is easy to compare offers and pick the company that offers you the lowest interest rate. Don’t be afraid to tell brokers that you are shopping around, or ask them if they can match the interest rates of a competitors quote.